In the most recent article we took a look at the way CheckVideo systems can be used to secure semi-public areas, specifically pools. Another option, and one which Security Technology of South Texas has implemented in multiple settings from pools and gated communities to construction yards and outdoor storage areas, is Videofied. Videofied is what is known as a “video-verified” alarm system, meaning that the alerts it generates are verified through a monitoring service to determine the need for dispatch or to contact the customer. It is more about verifying that a legitimate break in has occurred and expediting a dispatch of law enforcement or security if needed. 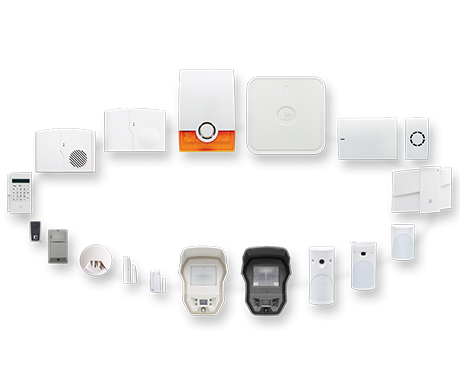 A typical system might consist of several indoor or outdoor cameras, motion detectors, a control panel, and a box housing the primary computer controlling these devices. An alarm is optional, as some customers may wish to scare off intruders, while others may want to have the alert generated silently so as to increase the likelihood of catching the intruder. The fact is that video-verified alarms have a considerably quicker response time on the part of authorities because they can visually identify the situation and eliminate false alarms and wasted responses. This is a system with many uses, and can be employed with or without a hard-wired internet connection via a 4G antenna. In cases where internet is available, this antenna is used as backup in case the lines were to be cut or otherwise interfered with. When deciding between a system such as Videofied versus CheckVideo, the primary consideration is whether or not the customer has a need or desire to be able to visually check in on the property throughout the day and to have a searchable video log. This is one thing that Videofied does not do, as it is designed to essentially perform a sentry role, activating and recording only in the event of it being triggered. CheckVideo will feature a higher quality of video, as Videofied does not need the higher level of definition to simply be able to detect and confirm the presence of an intruder. Security Technology of South Texas has installed both systems for various HOAs as well as for individual clients, and the decision of course comes down to the needs of the customer. Although Videofied is something we have covered here before and something with which we have expertise in integrating and installing, I thought a comparison between the two could be of benefit as we continue through the Summer months and the intrusions and break-ins that invariably accompany it.